The soft, glossy cashmere doors and dark accents of this kitchen will make the perfect start to any day, just like a great cup of coffee. Proof that a modern, minimal look can also be warm and mellow, perfect for your family kitchen! Cappuccino gloss is one of our favourite gloss finishes and is there any wonder why when you look at this Zurich design kitchen? It doesn’t matter how big or small your kitchen is, we can work with you to make your perfect kitchen. 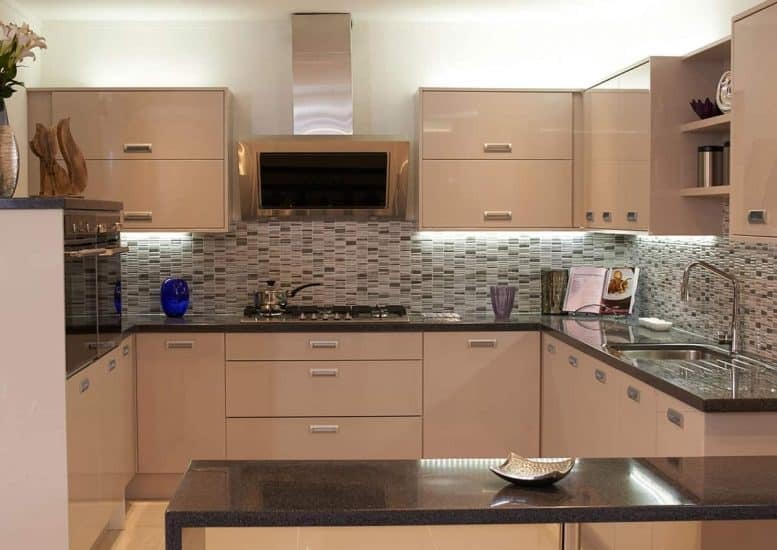 All of our kitchen cabinets, carcesses etc all start life in our own in house factory, which means we can cut out the middle man and create a kitchen that is bespoke to your home. 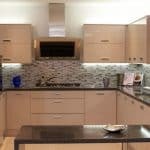 We also offer an extensive guarantee service when it comes to our fitted kitchens. You’re covered for 6 years for anything that life might throw at you, your home and kitchen. Why not start your Starplan kitchen journey today, it’s as simple as filling in our design visit form, and letting us do the rest of the hard work from there!